Bring a splash of color to your trendy bar area or counter height table with this modern bar stool. The faux-leather upholstered seat matches the dark brown finished legs for a stylish, contemporary look. Seat cushion and backrest are padded for ultra plush comfort. 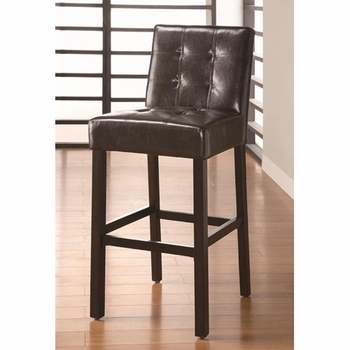 Finished with a wood reinforcing footrest, this trendy barstool ensures long-lasting support.